Following the recent publication by the UFC-Que Choisir of the new version of the QuelCosmetic application, and in response to the multiplication of similar applications (Yuka, CleanBeauty, Inci beauty, cosmethics) in recent months, the Fédération des entreprises de la Beauté (FEBEA) would like to highlight of certain misinformation that may have been conveyed to consumers about the categories of cosmetic products (make-up, care, everyday hygiene products, hair products, eau de toilette and perfumes). FEBEA points out that much of the information in the applications is currently erroneous, obsolete, partial or even inappropriate, or based on unsound scientific foundations and/or inappropriate algorithms. Moreover, as many consumers have noted, applications often contradict each other on the same subjects, leading to confusion that damages the information, safety and health of the entire population. 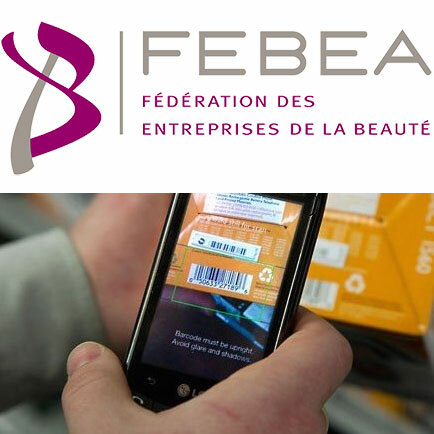 FEBEA thus reminds all application publishers that, as it has already benn proposed, it is fully prepared to meet with them as soon as possible in order to decide on analytical methodologies that remove any doubt and suspicion that is not proven from a regulatory point of view, pursuing the common objective of helping consumers make an informed choice and use of cosmetic products. • Information that can reasonably be questioned as to its objectivity when it is made available by applications that offer premium paid services or redirect to commercial sites where other cosmetic brands are offered as an alternative to products criticised for their composition. For this reason, there can be no proven endocrine disruptor in a cosmetic product, and products intended for young children are evaluated according to specific criteria. Finally, FEBEA points out that it is in a position to make proposals to help consumers to see more clearly on the basis of solid and verified information. This is why FEBEA is also committed to an opening process and is organising a “press workshop” for the media on 23 October. The editorial staff of CosmeticOBS will attend this press workshop, and will then very quickly propose a complete background article on cosmetic applications and their functioning. New episode in the debate on the relevance of cosmetic applications proposing to decipher ingredient lists: Candice Colin and Dr Claire Gagliolo, co-creators of the Clean Beauty application, denounce the “amalgams” contained in the FEBEA press release calling for “transparency and scientific rigour”*.